The Free Verse Festival is the City of Charleston, SC’s annual poetry festival. 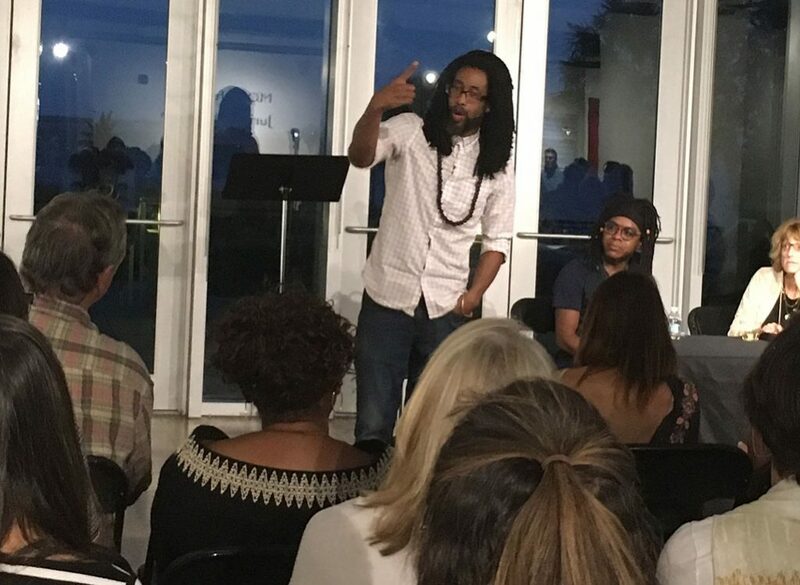 The mission is to uplift the community by providing eclectic poetry events and workshops at multiple venues in Downtown Charleston and West Ashley. The festival will occur October 17 – 24, 2018. SC Humanities supported this project with a Fast Track Literary Grant. There will be a variety of events, including “Stanzas & Synthesizers,” “Show and Tell Your Truth: A Student Poetry Show,” “Physical Poetry: SC’s Evening of Dance,” an open mic night, a poetry slam, and much more. Some of the featured poets include P. Scott Cunningham, Cheryl Boyce-Taylor, Tyquan Morton, Mike Rosen, McKayla Conahan, Libby Bernadin, and Marcus Amaker. The full list of events is available on the festival website at www.freeversefestival.com.